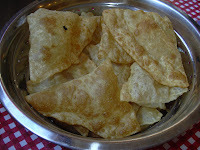 The pooris are similar to what we Bengalis' do. Only thing is that we don't add sooji. But I am going to try it out for sure.